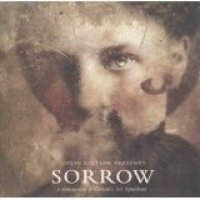 Colin Stetson Presents Sorrow : a Reimagining of Gorecki's 3rd Symphony. Symphony No. 3, Op. 36 by Henryk Gorecki, ©1977 by PWM Edition, Krakow, Poland ; arrangement by Colin Stetson. Colin Stetson on saxophone ; with accompanying musicians. Description: 1 audio disc (52 min., 23 sec.) : CD audio, digital ; 4 3/4 in.